One of the nation’s oldest engineering societies is set to remodel its St. Louis Mid-Century Modern home. The 65-year-old building of the Engineers’ Club of St. Louis will be getting a much needed renovation by the local design and planning firm Remiger Design. As an organization, the 150 year old Engineers’ Club of St. Louis has over 1,000 members. Along with the Engineers’ Club, the club’s building is home to over 30 other affiliated groups, representing over 14,000 engineers, architects, and other building tradespeople from the St. Louis region. 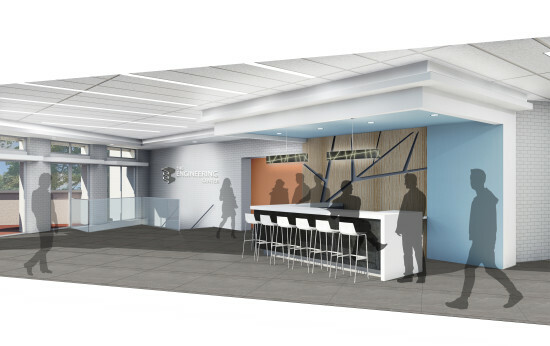 Once the renovation is complete the building will become known as the Engineering Center, changing from the Engineers’ Club, to better represent the diverse set of organizations that it houses. Situated in St. Louis’s Central West End, the building was built in 1958 by St. Louis’ noted mid-century modernist firm Russell, Mullgardt, Schwarz and Van Hoefen. With its distinctive roofline and car-centric design—the main entrance faces the parking lot on the back of the building—the new design will keep some of the old while updating particular aspects for more contemporary uses. 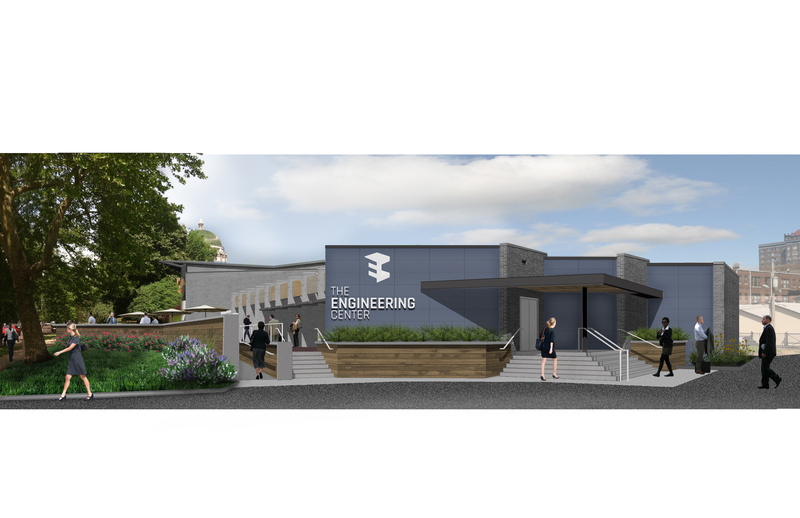 From the exterior, notable changes will include the moving of the entrance, new cladding, and an extended patio with updated landscaping. Along with the building’s angular roofline, its Modernist parapet detailing will be preserved. 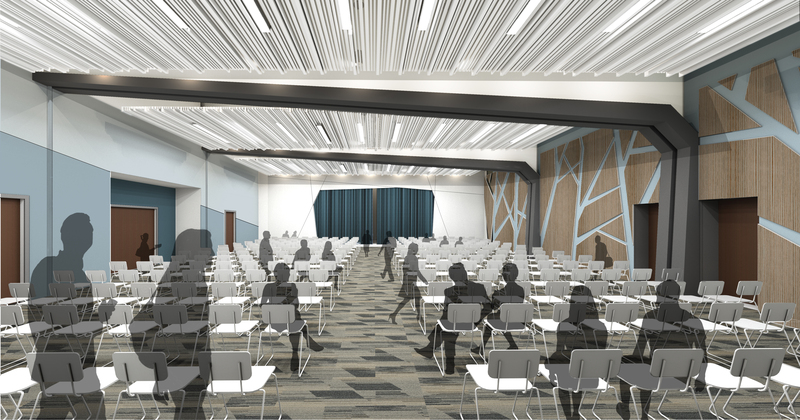 The interior of the building will see the greatest changes, including a complete remodel of the auditorium. By leveling the current slopped seating area the space will be converted to a more flexible meeting area. 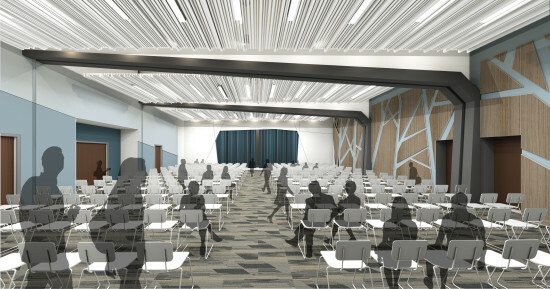 Other spaces will be converted to seminar rooms to facilitate the clubs S.T.E.M. (Science Technology Engineering Math) youth education programs. 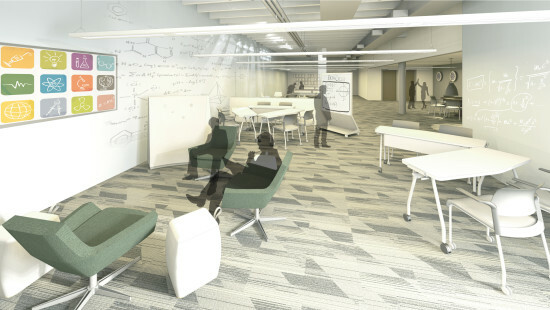 “Designing this renovation project for the Engineering Center is a unique opportunity for us to work directly with an organization that has made historically significant contributions to the profession of engineering,” remarked Vern Remiger, president of Remiger Design in a statement to the press. Remiger Design is also heavily involved with the renovation of the park around the St. Louis Gateway Arch, with Vern Remiger acting as the Design Team Manager for the CityArchRiver organization.